Although dbBee was designed as very simple and user friendly service, still, in rare occasions, we see our users have problems with utilizing our service in its full capacity, mainly because of disregarding instructions (or not reading them at all). In this article we’ll point out the most common mistakes and provide short instructions on how to avoid them. This is one of the most frequent issues our users have. 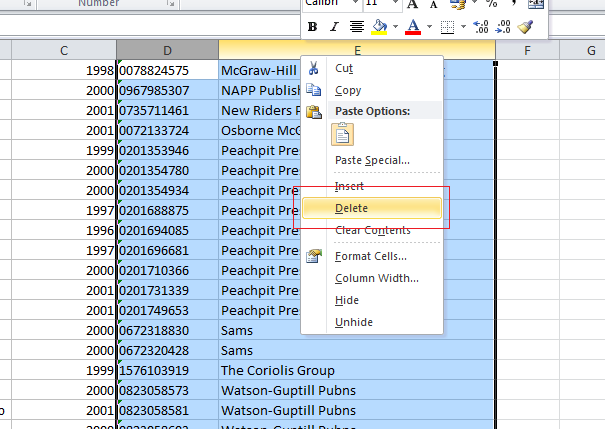 The vast majority of our users use Excel workbook as a database, forgetting that Excel sheets formatted for easy reading by humans often are not suitable for use as a database. 3.Subtitles are not recognized by dbBee. They are interpreted as a field value. We strongly recommend our users to read/view tutorials. It will take just a tiny fraction of time that they will waste trying to fix the errors produced by badly formatted sheet. In this article we gave really good explanation of UID and how to use it properly. On top of this, dbBee offers automatic creating of UID field both for Excel sheets and for Access tables. Unfortunately, in some cases it is not enough. In short, UID is a field (or combination of fields) that has a unique value for every record in that table. dbBee uses value of field defined as UID to identify the record that should be modified (or deleted in case of Access table). Because of that dbBee admin app cannot modify value of the field(s) defined as UID, and that is why it is the best solution (at least with Excel sheets) to use UID generated by dbBee. Updating data for dbBee projects is very simple and it is definitely one of the main advantages of dbBee. To update data for existing project, it is enough to update a local copy of Excel workbook used with the project and to upload it back to dbBee using the overwrite mode. Unfortunately, this simplicity sometimes causes serious problems when users change the structure of uploaded table. While first two changes will cause your project to stop working completely (producing the error "Item not found…”) third one will make your project un-editable, meaning that you will not be able to open that project and edit it using wizard (or you will, with unpredictable results). There is a very good reason we have QBD wizard. It is meant to be used with the tables having a lot of fields, to make the project easier to browse and navigate. The general idea behind this was to use browse table for showing the most important fields for many records at once, and then to use detail table (detail view) to get more details about single record. Putting too many fields in a browse table makes your project both slow and unreadable. 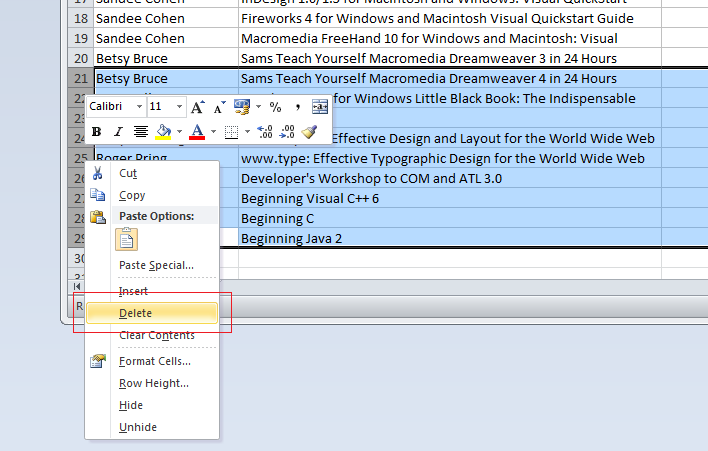 The fact that browse table does not include all the fields does not narrow the search – meaning that search (either quick search above the table or advanced search form) will be performed in all the fields that exist in table/sheet. We strongly recommend organizing your QBD apps in a way that your browse table contains just a few important fields that provide basic info about the record, and to place all the others in detail view. While it is great thing to have your reports look good on both desktop and mobile clients, mobile version is activated only if container of dbBee application has width 600px or less, and that means that it depends on how the host page reacts to various clients (devices). To make long story short – if your host page is not responsive, dbBee project will not display mobile version even on displays with mush less width than 600px, and therefore generating both desktop and mobile code makes no sense. In case that your host page is not responsive, we strongly recommend using "Desktop only” option on advanced wizards, for it will produce faster and lighter app with no change in its usability. In order to use dbBee with Joomla/WordPress web site you must have at least one of dbBee plugins installed and activated on your site all the time.